Ready to get ahead of that looming winter snowstorm? Upgrade your snow blower STAT! The sale is this way! So how do you actually know when is the best time to buy a snow blower (and at the best price)? A study from Consumer Reports states that your best bet to purchase that prized winter-saver is in the months of August and September. It makes sense that the heart of the winter may not save you the most money. Moreover, some of the major brands like Toro, Snow Joe, Cub Cadet, John Deere (and more) are unleashing their latest models and, some, may be retiring some of their older models. So it’s really like out with old (hello sales) and in with the new (hello full-priced). Plus, if you’re perfectly fine with buying a new snow blower that technically might be last years model (I mean, it’s not like it’s a car!) you may just save the most money now! Thanks to the genius that is the Internet, a bunch of retailers are already having some pretty impressive sales this month. Plus, so many of them are not only offering free shipping on a lot of these, but some are even offering free two-day shipping (hello Amazon, The Home Depot, and Walmart!). That’s why anytime, really, is the best time to find a great deal on your snowblower. 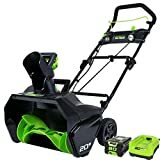 We’ve seen some electric snow shovels for as low as $88, electric throwers for prices starting at $100, and major gas-powered options starting at $287. Prices and availability, as you know, are always changing. And so is that “up to 40% off” sale we’ve been seeing, so bookmark this page and check back often as we’ll be updating all throughout the month. 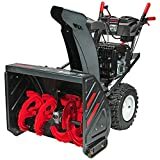 Check out some of the best snowblower sales (so far) in April 2019. You can never be too prepared! Grab upwards of 30% off some of the best-selling snow blowers right now at Home Depot. We're talking about major brands we've come to know, love, and trust like Toro, Cub Cadet, John Deere, and more. Show the snow who's the real boss this upcoming winter! 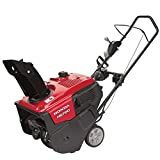 Toro Snow Blower Sale: Up to 20% Off and Free Shipping! Everybody loves a Toro snow blower. 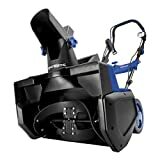 They've been around forever and are some of the most popular and best selling snowblowers anywhere. For a limited time you can enjoy savings up to 20% off on select Toro snow blowers and, at this time, they're all offered with free shipping. What's better than that?! Now here's a sale we can get behind. 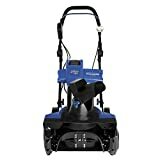 Currently this month you can save upwards of 45% off select snow blowers at Walmart, many with FREE 2-day shipping. This includes sales on gas and electric powered snowblowers from top brands like Snow Joe, Greenworks, Wen, and more. If you're looking to go the gas-powered route, you can save up to 38% off select gas snowblowers at Walmart. Right now we're seeing prices starting at $258. Not bad! Take THAT winter! You're in luck if you're looking for a completely cordless snow blower. We're seeing some pretty great prices on cordless snow blowers (and some cordless electric snow shovels) right now. Currently prices are starting at under $250. Upgrade yours to one of these shiny new ones while you still can! If you don't want to break the bank this winter, you're in luck. 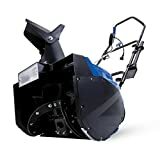 Check out these current deals and sales on some of the top-selling snow blowers and, even better, electric snow shovels. These are all currently for under $150! Who even knew an electric snow shovel existed?! Shop major brands like Ryobi, Snow Joe, Toro, Greenworks, and more. If you're going the gas-powered snow blower route (we love old school), this is the sale for you For a limited time you can save up to 25% off the original price on select snowblowers. Plus, many of these come with free shipping. Score!